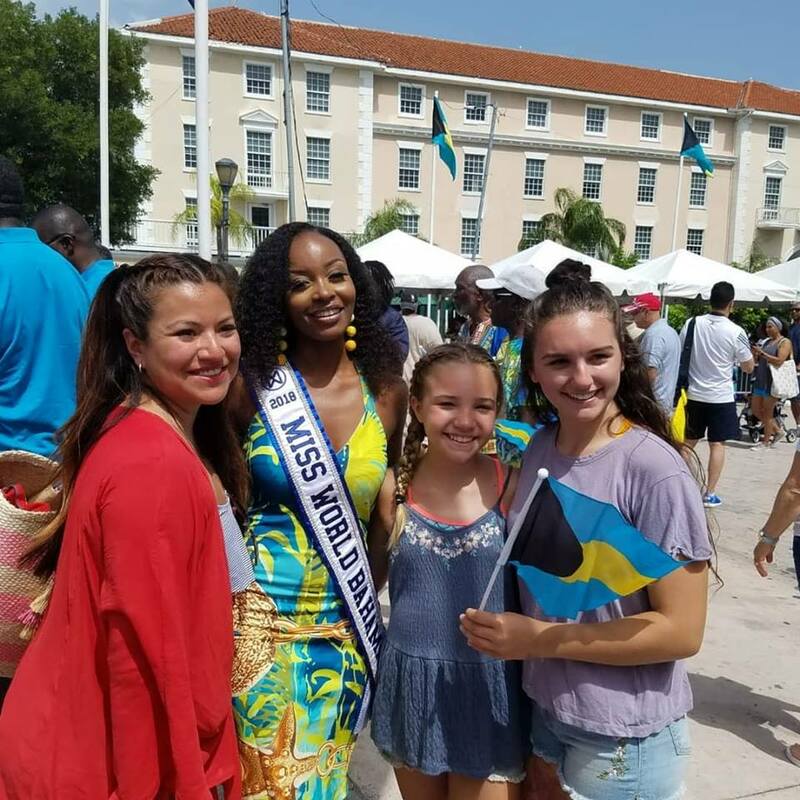 Miss World Bahamas Brinique Gibson was part of the official National Pride day ceremony today as celebrations observing the country's 45 Independence celebrations continue. Brinique looked lovely wearing an original Bahari Bahamas design. 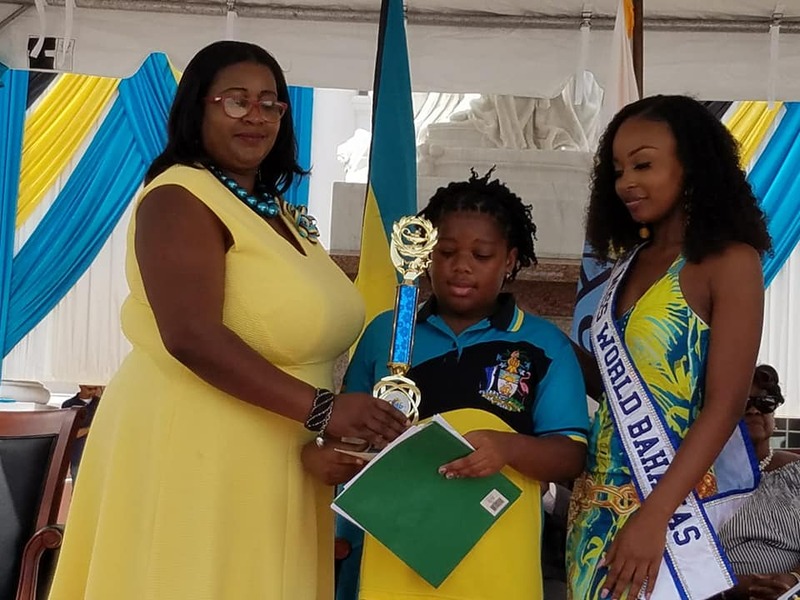 She was part of the official delegation on hands to present awards to outstanding youth. 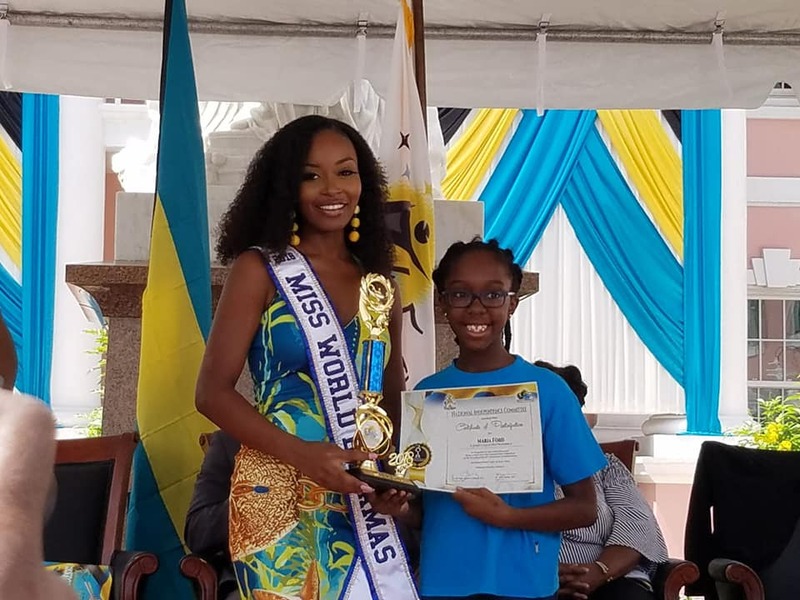 Miss Bahamas Organization supports Grand Bahama Cancer Society.